Box contents:- JBL Flip 3 Stealth Portable Bluetooth Speaker- USB cable- User guide. 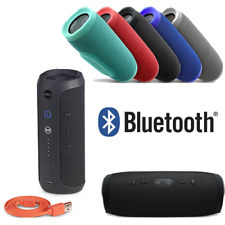 Bluetooth:Bluetooth 4.1. Wireless Speaker. Speaker unit:40 mm driver x 2. Portable & light. Battery life:Up to 10 hours. Descrizione Prodotto: Charge 3 MINI. Sistema audio: 2.0, Dimensioni driver: 5 cm, Rapporto segnale/rumore (SNR): 80 dB. Potenza in uscita2*10 W, Range di frequenza: 65 - 20000 Hz. Tecnologia di connessione: Senza fili, Interfaccia: Bluetooth, Tecnologia wireless: Bluetooth. Tipo di prodotto: Stereo, Design: Tubo, Colore del prodotto: Verde. Utilizzo raccomandato: Tablet / Smartphone. LG PH1 Bluetooth Illuminated Speaker. Never miss a beat again with LG wireless audio. Multi Colour LED - A unique candle-like ambient light is the perfect match to your music, with five colour choices available you have illuminated music that fills the room. KitSound XDOCK 4 Alarm Clock Dock. Wireless connectivity.The KS XDOCK 4 is a docking station with a difference. The Lightning connection charges your phone, and the built-in 3 W drivers deliver all your favourite playlists wirelessly thanks to the built-in wireless connectivity. Adjustable base and auto-sync.The adjustable base allows you to charge your iPhone with its case still on, as the springy dock adjusts its height automatically to accommodate your phone case. And the auto-sync function means you never have to worry about setting the date or time – because it does it for you. Dual alarms.The KS XDOCK 4 comes equipped with dual alarms for ease of use. Set one for work, and have one spare so you don’t over sleep at the weekend. 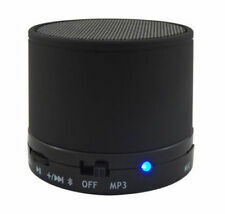 Bluetooth streaming wirelessly streams high-quality stereo music from any Bluetooth-equipped device. Built-in bass port generates impressive bass for its size and bass that’s superior to comparable portable products. Azatom Airflow Technology. 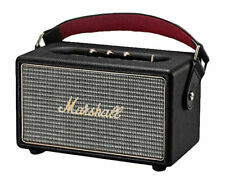 Incredible power and sound with a battery which lasts ages. 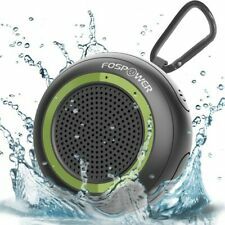 The Storm makes enjoying your music even easier with the stylish design and rugged construction. Designed and developed here in the UK, using premium materials and components, ensures the Storm will exceed your expectations. Features: bluetooth. Assembled Product Weight: 3 lbs. We WILL be National Champ by 2035. We're here to provide excellent service and usually respond within a few hours! Looks and functions just like new! PartyUp from Ultimate Ears allows you to wirelessly connect more than 50 UE speakers. -PartyUp from Ultimate Ears allows you to wirelessly connect more than 50 UE speakers. -This Certified Refurbished product is tested and certified to look and work like new. Con spina standard da 3.5mm. Colore: bianco. With unique water-resistant design with suction cup back, it can be sucked on any flat surface, including desk, shower, door, wall, window, etc. Built-in Bluetooth 2.1 EDR. Support Bluetooth stereo sound. Als Verbraucher sind Sie gesetzlich zur Rückgabe verbrauchter Batterien verpflichtet. Schadstoffhaltige Batterien sind besonders gekennzeichnet. Die chemischen Symbole Cd, Hg und Pb stehen für Cadmium, Quecksilber und Blei. The ION Explorer Outback 2 Bluetooth Water Resistant Speaker System is the perfect speaker system for partying in the great outdoors. The ION Block Rocker Max is even equipped with a bottle opener and two cup holders; it just doesn't get any more fun than that. Woozik S213 Bluetooth Speaker. 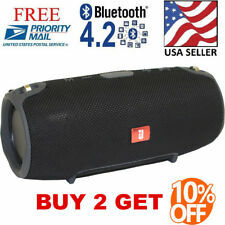 Pair this speaker with your Bluetooth-enabled smartphone, laptop, or tablet for music streaming. Connect wirelessly from up to 33 feet. With A2DP support, there is no limitations. 1200 Watts speaker. Microphone input. Wireless connection. 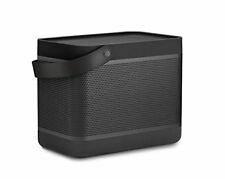 RIVA AUDIO TURBO X RTX01S WIRELESS BLUETOOTH SPEAKER * Power by Adapter Only. The weather may be unpredictable, but the fun you’ll have with Pathfinder is a sure thing. 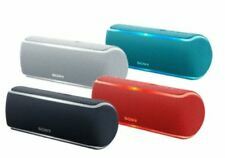 It streams music wirelessly from any Bluetooth device and also has a built-in AM/FM radio. A 12" Bluetooth PA System with lighting. 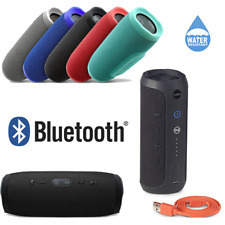 The integrated Bluetooth allows you to listen to music from your phone or mp3 player, and the RCA input/output allows you to connect non-Bluetooth systems. The 1000W peak output ensures a full sound that'll reach the back of the room. Enjoy the best music and throw karaoke parties with this Intempo Tailgate speaker. Features a rechargeable battery, two wheels and a handle so it's easily portable. 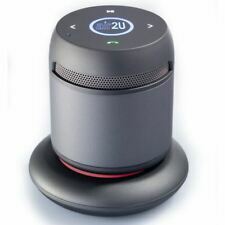 The Bluetooth function enables you to connect wirelessly to your tablet, smartphone or mp3. Rechargeable battery that ensures you can take the speaker wherever you go. 10W front speaker and LED lights for a funky atmosphere at any occasion. JBL GO2 Enceinte sans fil Bluetooth portable-Rouge Officielle JBL. New...Q.Media Black iPod/iPad/iPhone Speaker Bar.